Join Us!!! We are looking for someone to help us cover Filipino basketball. Please send us an e-mail. The Regular Season in Philippine Cup just started. Here is the last round review presented by ESL. SM Beermen (1-1) recorded a loss in Makati City on Friday night. Visitors were defeated by Columbian Dyip (1-0) 124-118. Columbian Dyip forced 20 SM Beermen turnovers. They looked well-organized offensively handing out 26 assists. Great defensive blocking was one of the keys in this match when Columbian Dyip made 8 blocks. 25 personal fouls committed by SM Beermen helped opponents get some easy free throw opportunities. Forward Jackson Corpuz (193-89) fired a double-double by scoring 21 points and 11 rebounds for the winners. Guard Jaymar Perez (188-93) chipped in 26 points and 5 rebounds. Forward Arwind Santos (193-81) produced 34 points (!!! ), 7 rebounds and 4 blocks for lost side. Both coaches used bench players which allowed the starters a little rest for the next games. Columbian Dyip's supporters look forward to an exciting derby game next round, where their team will travel locally in Makati City to the arena NLEX RW. Very important is a road loss of Ginebra Kings (1-1) against SM Beermen (1-1) on Sunday night. Visiting Ginebra Kings were defeated by SM Beermen in a tough game in Manila 91-99. Worth to mention a great performance of American guard Chris Ross (185-85, college: Marshall) who helped to win the game recording 22 points, 6 rebounds and 8 assists. Christian Standhardinger contributed with 26 points and 6 rebounds for the winners. point guard Lewis Tenorio (177-84) answered with 24 points, 6 rebounds and 5 assists for Ginebra Kings. Ginebra Kings' coach Tim Cone rotated eleven players in this game, but that didn't help. SM Beermen will play against TNT Ka Tropa (#12) in Makati in the next round and are hoping to win another game. Ginebra Kings' supporters look forward to an exciting derby game next round, where their team will face at home their local rival from Manila Rain or Shine. The game in Caloocan City supposed to be also quite interesting. Global Port (2-0) played at the court of Blackwater Elite (0-2). Global Port smashed Blackwater Elite 117-91 on Wednesday. Robert Bolick stepped up and scored 26 points (on 10-of-12 shooting from the field) for the winners. At the losing side Abu-Jahal Tratter responded with 18 points and 9 rebounds. The winner was already known earlier in the game, so both coaches allowed to play the bench players saving starting five for next games. Global Port will meet Columbian Dyip (#3) in the next round, which may be the game of the day. Blackwater Elite will play against Rain or Shine (#4) in Manila and hope to win that game. A very interesting game took place in Quezon. It ended with only one-point defeat on the road of Meralco Bolts (1-1) to Phoenix (2-0) 93-92 on Wednesday evening. Host team only slightly avoided a big embarassment. Matthew Wright nailed a double-double by scoring 18 points, 11 rebounds and 5 assists for the winning side. Both coaches tested many bench players in such tough game. Phoenix's next round opponent will be Columbian Dyip (#3) in Makati City, which may be the game of the day. Meralco Bolts will play on the road against TNT Ka Tropa in Makati and hope to win that game. Phoenix defeated TNT Ka Tropa in Quezon 93-84. Ginebra Kings beat TNT Ka Tropa at home 90-79. Global Port won against NLEX RW on the opponent's court 95-90. Rain or Shine managed to outperform NLEX RW in a home game 96-87. Winless Blackwater Elite recorded a loss to Meralco Bolts on the road 99-94. SM Beermen (1-1) recorded a loss in Makati City on Friday night. Visitors were defeated by Columbian Dyip (1-0) 124-118. Columbian Dyip forced 20 SM Beermen turnovers. They looked well-organized offensively handing out 26 assists. Great defensive blocking was one of the keys in this match when Columbian Dyip made 8 blocks. 25 personal fouls committed by SM Beermen helped opponents get some easy free throw opportunities. Forward Jackson Corpuz (193-89) fired a double-double by scoring 21 points and 11 rebounds for the winners. Guard Jaymar Perez (188-93) chipped in 26 points and 5 rebounds. Forward Arwind Santos (193-81) produced 34 points (!!! ), 7 rebounds and 4 blocks and naturalized American swingman Marcio Lassiter (190-87, college: CS Fullerton) added 25 points, 5 rebounds, 5 assists and 4 steals respectively for lost side. Both teams had four players each who scored in double figures. Both coaches used bench players which allowed the starters a little rest for the next games. Columbian Dyip's supporters look forward to an exciting derby game next round, where their team will travel locally in Makati City to the arena NLEX RW. There was no surprise in Makati where TNT Ka Tropa (0-2) was defeated by Phoenix (2-0) 93-84. Phoenix forced 24 TNT Ka Tropa turnovers. 33 personal fouls committed by TNT Ka Tropa helped opponents get some easy free throw opportunities. Naturalized Canadian guard Matthew Wright (193-91, college: St.Bonaventure) nailed 23 points, 6 rebounds and 4 assists for the winning side and naturalized American forward Calvin Abueva (190-88) accounted for 14 points and 12 rebounds. Four Phoenix players scored in double figures. Roger-Ray Pogoy (189-92) came up with a double-double by scoring 30 points and 12 rebounds and point guard Jayson Castro-William (180-86) added 18 points and 4 assists respectively for TNT Ka Tropa in the defeat. Both coaches tested many bench players and allowed the starting five to rest. Phoenix's next round opponent will be Columbian Dyip (#3) in Makati City, which may be the game of the day. TNT Ka Tropa will play at home against Meralco Bolts (#6) and hope to win that game. Ginebra Kings used a home court advantage and defeated the opponent from Makati 90-79. Ginebra Kings players were unselfish on offense dishing 26 assists. 27 personal fouls committed by TNT Ka Tropa helped opponents get some easy free throw opportunities. Center Japeth Aguilar (206-87, college: W.Kentucky) nailed 21 points for the winning side and center Greg Slaughter (216-88) accounted for 15 points and 7 rebounds. Roger-Ray Pogoy (189-92) came up with a double-double by scoring 21 points and 16 rebounds and point guard Jayson Castro William (180-86) added 17 points and 10 assists respectively for TNT Ka Tropa in the defeat. Four TNT Ka Tropa players scored in double figures. Both coaches tested many bench players and allowed the starting five to rest. Ginebra Kings' supporters look forward to an exciting derby game next round, where their team will face at home their local rival from Manila Rain or Shine. Very expected game in Makati City where NLEX RW (0-2) was defeated by Global Port (2-0) 95-90. Global Port made 17-of-21 charity shots (81.0 percent) during the game. They also forced 23 NLEX RW turnovers. Naturalized American forward Sean Anthony (193-86) nailed 22 points, 9 rebounds, 5 assists and 7 steals for the winning side and naturalized Tongan center Moala Tautuaa (200-89, college: Chadron St.) accounted for 18 points and 11 rebounds. JR Quinahan (198-84) came up with 18 points, 5 rebounds and 6 assists and power forward John-Paul Erram (203-89) added 19 points and 7 rebounds respectively for NLEX RW in the defeat. Both teams had four players each who scored in double figures. Both coaches tested many bench players in such tough game. Global Port's next round opponent will be Columbian Dyip (#3) in Makati City, which may be the game of the day. NLEX RW's supporters look forward to an exciting derby game next round, where their team will face at home their local rival from Makati City Columbian Dyip. The game in Caloocan City supposed to be also quite interesting. Global Port (2-0) played at the court of Blackwater Elite (0-2). Global Port smashed Blackwater Elite 117-91 on Wednesday. Global Port dominated down low during the game scoring 76 of its points in the paint compared to Blackwater Elite's 48. Global Port forced 20 Blackwater Elite turnovers. They looked well-organized offensively handing out 26 assists. Robert Bolick stepped up and scored 26 points (on 10-of-12 shooting from the field) for the winners and guard Paolo Taha (188-90) chipped in 21 points and 6 rebounds. At the losing side international forward Abu-Jahal Tratter (196-93) responded with 18 points and 9 rebounds and point guard Shej-Roi Sumang (177-91) scored 16 points, 5 rebounds and 4 assists. Five Global Port and four Blackwater Elite players scored in double figures. The winner was already known earlier in the game, so both coaches allowed to play the bench players saving starting five for next games. Global Port will meet Columbian Dyip (#3) in the next round, which may be the game of the day. Blackwater Elite will play against Rain or Shine (#4) in Manila and hope to win that game. A very interesting game took place in Quezon. It ended with only one-point defeat on the road of Meralco Bolts (1-1) to Phoenix (2-0) 93-92 on Wednesday evening. Host team only slightly avoided a big embarassment. Phoenix outrebounded Meralco Bolts 76-53 including a 50-37 advantage in defensive rebounds. Their players were unselfish on offense dishing 22 assists. 27 personal fouls committed by Meralco Bolts helped opponents get some easy free throw opportunities. Naturalized Canadian guard Matthew Wright (193-91, college: St.Bonaventure) nailed a double-double by scoring 18 points, 11 rebounds and 5 assists for the winning side and JC Intal (193-83) accounted for 8 points, 16 rebounds and 6 assists. Guard Chris Newsome (187-90, college: N.Mexico Highlands) came up with 20 points and 5 rebounds and forward Nico Salva (191-90) added 22 points and 6 rebounds respectively for Meralco Bolts in the defeat. Both coaches tested many bench players in such tough game. Phoenix's next round opponent will be Columbian Dyip (#3) in Makati City, which may be the game of the day. Meralco Bolts will play on the road against TNT Ka Tropa in Makati and hope to win that game. The game between closely ranked teams ended with Rain or Shine's (1-0) home victory over NLEX RW (0-2) 96-87. They outrebounded NLEX RW 47-36 including 16 on the offensive glass. Rain or Shine players were unselfish on offense dishing 21 assists. James Yap (190-82) nailed 20 points for the winning side and Beau Belga (198-86) accounted for 9 points, 7 rebounds and 7 assists. JR Quinahan (198-84) came up with 19 points, 5 rebounds, 5 assists and 4 steals and guard Philip Paniamogan (185-91) added 8 points and 8 rebounds respectively for NLEX RW in the defeat. Both teams had four players each who scored in double figures. Both coaches allowed to play bench players saving starting five for next games. Rain or Shine's next round opponent will be Blackwater Elite (#10) in Caloocan City and are hoping to win another game. NLEX RW's supporters look forward to an exciting derby game next round, where their team will face at home their local rival from Makati City Columbian Dyip. Very important is a road loss of Ginebra Kings (1-1) against SM Beermen (1-1) on Sunday night. Visiting Ginebra Kings were defeated by SM Beermen in a tough game in Manila 91-99. SM Beermen forced 21 Ginebra Kings turnovers. Strangely Ginebra Kings outrebounded SM Beermen 50-37 including a 40-28 advantage in defensive rebounds. Their players were unselfish on offense dishing 24 assists. SM Beermen brought some defensive toughness making 7 blocks. Worth to mention a great performance of American guard Chris Ross (185-85, college: Marshall) who helped to win the game recording 22 points, 6 rebounds and 8 assists. Naturalized German forward Christian Standhardinger (206-89, college: Hawaii) contributed with 26 points and 6 rebounds for the winners. Five SM Beermen players scored in double figures. Point guard Lewis Tenorio (177-84) answered with 24 points, 6 rebounds and 5 assists and center Japeth Aguilar (206-87, college: W.Kentucky) added 20 points, 7 rebounds and 4 blocks in the effort for Ginebra Kings. Ginebra Kings' coach Tim Cone rotated eleven players in this game, but that didn't help. SM Beermen will play against TNT Ka Tropa (#12) in Makati in the next round and are hoping to win another game. Ginebra Kings' supporters look forward to an exciting derby game next round, where their team will face at home their local rival from Manila Rain or Shine. Meralco Bolts used a home court advantage and defeated the opponent from Caloocan City 99-94. Meralco Bolts players were unselfish on offense dishing 27 assists. 26 personal fouls committed by Blackwater Elite helped opponents get some easy free throw opportunities. Naturalized American Clifford Hodge (196-88, college: Hawaii Pacific) nailed a double-double by scoring 12 points and 10 rebounds for the winning side and Trevis Jackson accounted for 19 points. Point guard Shej-Roi Sumang (177-91) came up with 16 points and 9 assists and forward Jose Raymar (196-92) added 15 points and 10 rebounds respectively for Blackwater Elite in the defeat. Five Meralco Bolts and four Blackwater Elite players scored in double figures. Both coaches allowed to play bench players in such tough game. Meralco Bolts' next round opponent will be TNT Ka Tropa (#12) in Makati and are hoping to win another game. Blackwater Elite will play on the road against Rain or Shine in Manila and hope to win that game. SM Beermen knocked down Phoenix to take 3-1 lead. Strangely Phoenix outrebounded SM Beermen 62-49 including 23 on the offensive glass. They looked well-organized offensively handing out 31 assists. Great defensive blocking was one of the keys in this match when SM Beermen made 7 blocks. 36 personal fouls committed by Phoenix helped opponents get some easy free throw opportunities. Point guard Terrence Romeo (180-92) fired 20 points and 4 assists for the winners. Forward Arwind Santos (193-81) chipped in 16 points and 8 rebounds. Four SM Beermen players scored in double figures. Naturalized American forward Calvin Abueva (190-88) produced a double-double by scoring 19 points and 15 rebounds and naturalized American forward Jason Perkins (193-92, college: Valley City St.) added 8 points and 10 rebounds respectively for lost side. The winner was already known earlier in the game, so both coaches allowed to play the bench players saving starting five for next games. Hotshots rallied past Rain or Shine to even the series at 2-2. Rain or Shine was plagued by 27 personal fouls down the stretch. Worth to mention a great performance of power forward Ian-Paul Sangalang (201-91) who helped to win the game recording a double-double by scoring 19 points and 10 rebounds. Naturalized American center Rafi Reavis (203-77, college: Coppin St.) contributed with a double-double by scoring 10 points and 11 rebounds for the winners. Five Hotshots players scored in double figures. James Yap (190-82) replied with 24 points and 6 rebounds and naturalized American swingman Gabe Norwood (196-85, college: GMU) added 10 points and 8 rebounds in the effort for Rain or Shine. Both coaches used bench players in such tough game. Hotshots outgunned Rain or Shine to earn the first win in the series. Hotshots dominated down low during the game scoring 44 of its points in the paint compared to Rain or Shine's 24. They outrebounded Rain or Shine 68-45 including a 21-8 advantage in offensive rebounds. Rain or Shine was plagued by 29 personal fouls down the stretch. It was a good game for power forward Ian-Paul Sangalang (201-91) who led his team to a victory with a double-double by scoring 16 points and 11 rebounds. Guard Paul Lee (185-89) contributed with 16 points and 6 rebounds for the winners. Javee Mocon (193-95) answered with 18 points and 9 rebounds and Beau Belga (198-86) added 12 points and 7 rebounds in the effort for Rain or Shine. Both coaches tested many bench players which allowed the starters a little rest for the next games. Phoenix upset SM Beermen to narrow the deficit. Phoenix outrebounded SM Beermen 64-49 including a 26-15 advantage in offensive rebounds. They looked well-organized offensively handing out 22 assists. 34 personal fouls committed by SM Beermen helped opponents get some easy free throw opportunities. The best player for the winners was naturalized American forward Calvin Abueva (190-88) who had a double-double by scoring 18 points, 13 rebounds and 5 assists. Guard RJ Jazul (180-86) chipped in 14 points and 8 rebounds. At the other side the best for losing team was center June-Mar Fajardo (210-89) who recorded a double-double by scoring 22 points and 19 rebounds and naturalized American guard Alex Cabagnot (183-82, college: Hawaii-Hilo) added 18 points and 6 assists respectively. Both teams had four players each who scored in double figures. Both coaches used bench players in such tough game. Rain or Shine held off Hotshots to open 2-0 lead. Rain or Shine players were unselfish on offense dishing 24 assists. Hotshots were plagued by 27 personal fouls down the stretch. Guard Eduardo Daquioag (180-91) orchestrated the victory by scoring 19 points. 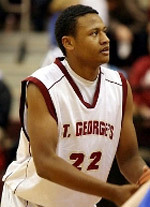 Naturalized Canadian forward Norbert Torres (198-90) contributed with 16 points and 5 rebounds for the winners. Four Rain or Shine players scored in double figures. American guard Robbie Herndon (191-92, college: San Francisco St.) replied with 13 points and 7 rebounds and guard Paul Lee (185-89) added 12 points and 5 rebounds in the effort for Hotshots. Both coaches tested many bench players and allowed the starting five to rest. 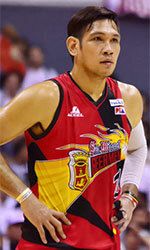 SM Beermen rallied past Phoenix to clinch the second straight win. 31 personal fouls committed by Phoenix helped opponents get some easy free throw opportunities. The best player for the winners was center June-Mar Fajardo (210-89) who had a double-double by scoring 19 points, 18 rebounds and 4 assists. Naturalized American swingman Marcio Lassiter (190-87, college: CS Fullerton) chipped in 24 points and 7 rebounds. Naturalized American forward Calvin Abueva (190-88) produced a double-double by scoring 16 points, 10 rebounds and 6 assists and naturalized Canadian guard Matthew Wright (193-91, college: St.Bonaventure) added 13 points respectively for the hosts. Four Phoenix players scored in double figures. Both coaches used bench players which allowed the starters a little rest for the next games.